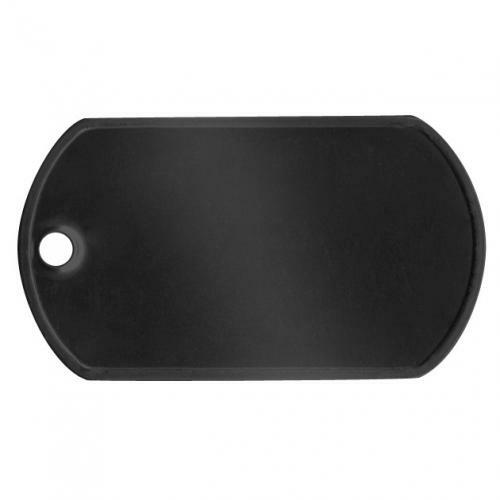 Special version of our black tags with silver colored steel characters which are much easier to read than black ones. NOT military spec! Our black dog tags are made of steel covered with a black epoxy coating which may eventually chip or flake. Consider choosing our black ball-chains with these tags.